BEP’s revolutionary web and mobile banking solutions for mortgages, secured & unsecured lending are re-inventing the way lenders and brokers do mortgage and loan processes. Any review item can be added to areas of concern as well as any positive indicators. By the end of the process, the system will have collated all the information required ready for lending approval with full audit trails. The dialogue box enables the underwriter to capture information as the case progresses…..
A visual summary of any impaired credit performance and Public. Record information is surfaced about CCJ’s/bankruptcies/IVA’s. The applicants panel interfaces to both Lexis Nexis (PEP’s & Sanctions) as well as Jumio for ID Verification. Click the link to see the captured ID documents. The system will highlight any sustainability issues around affordability – especially useful for scenarios for lending into retirement for one or more applicants. 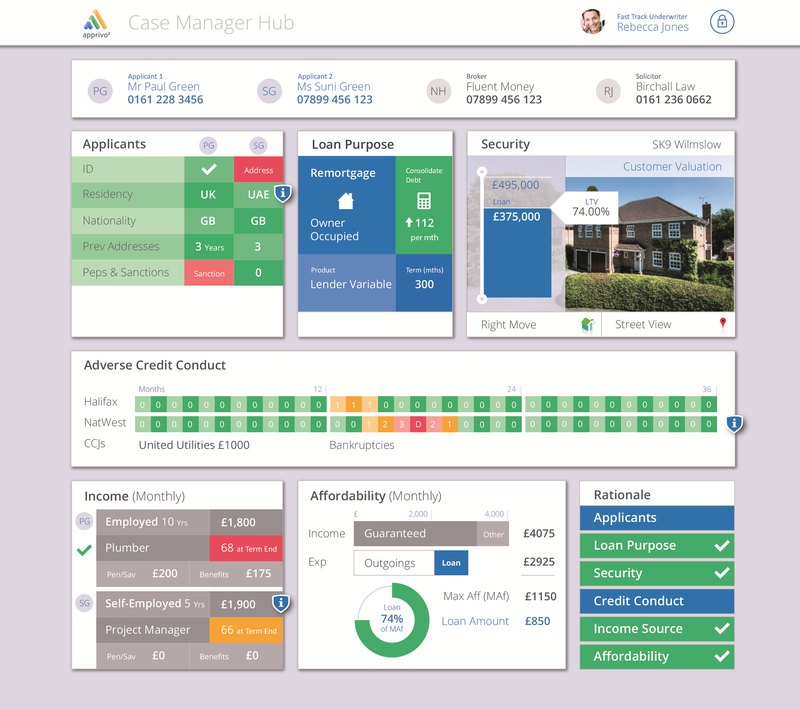 The Policy shields appear throughout the system – they are here to highlight (via an internal rules library) and warn the underwriter of potential issues with the case. These items will need to be acknowledged and overridden or in some cases will prevent the case from progressing further. This promotes consistency of best practice across the lending unit. Additionally – there is a comprehensive document production engine supporting field merging and embedded financial calculations. Notifications are provided to both the broker and the underwriter – about applications being received/reviewed including e-signing of documents. Documents can be uploaded to the system electronically and via mobile devices. The system has a comprehensive portal for both brokers & consumers. Any form can be customised using drag and drop custom fields. Post code look ups and bank account look ups are fully supported. The platform is completely mobile enabled. Every single screen within the system automatically scales for the device which it is being rendered to. Post code and bank account look ups are fully supported. Find out about how we are implementing our mortgage origination platform for Landbay Partners here. Read more about our Broker Portals here.